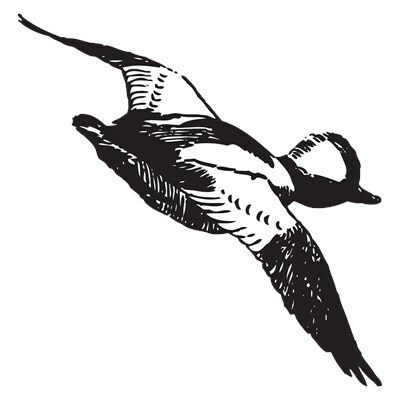 A Bufflehead is shown in flight, flying away. The rough black-and-white sketch coveys motion and the beauty of a duck in flight. The design is distressed for a vintage look on certain products. To order by phone, call toll-free at 1-877-809-1659 from Monday - Saturday 9:00am - 9:00pm EST. You'll need to note the Product Number 030-1318827222 to make your order.